Near Adams, Tennessee, stands a cave and a historical marker on a farm where the family of John Bell lived in the early 1800s. 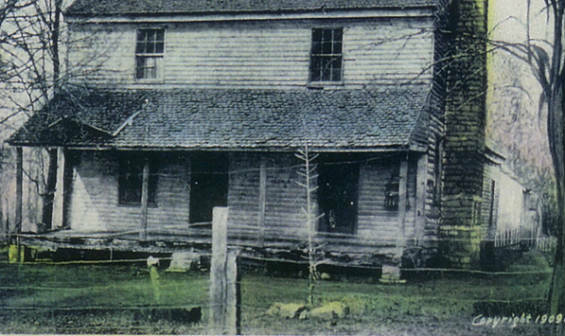 It was the scene of a series of mysterious manifestations that became known as the Bell Witch haunting. John Bell, his wife Lucy, their nine children, and a family of slaves moved from North Carolina to Tennessee around 1804. Bell bought up land and eventually accumulated over 300 acres. In 1817, the family began to experience unexplained phenomena that were often centered around Bell's daughter Betsy. They would hear strange tapping and a faint singing voice, identified as that of an old woman, although they couldn't understand the words. The Bell children (three more were born in Tennessee) were awakened at night by something pulling at their bedcovers and sounds of something chewing on the bedposts. John Bell encountered a strange animal in his fields, described as having the body of a dog and the head of a rabbit. Despite nighttime hunting expeditions, they never caught the animal. As time went on, the family was plagued by loud pounding on the outside of their cabin. Betsy was attacked in her sleep, encounters which left bruises and welts on her face. John Bell told his friend James Johnston about the haunting. Johnston and his wife spent a night in the Bell home and experienced noises and moving objects themselves. As the voice became louder, the family could tell the "witch" was quoting scripture and singing hymns. Over time, she began addressing family members by name. She hated John Bell and vowed to kill him. The witch also spoke to Betsy and warned her against marrying her intended, Joshua Gardner. 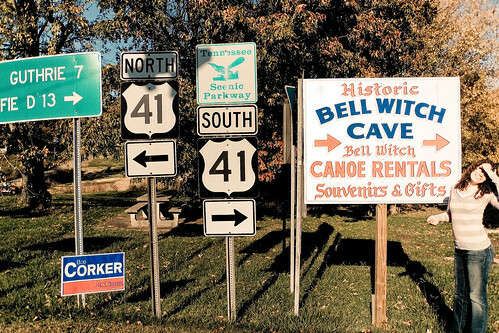 The story of the Bell Witch spread through the community, and in 1818, John Bell was excommunicated from his church. The official reason was a charge of usury over a slave sale, but some think the supernatural events were the actual catalyst. In 1819, General Andrew Jackson paid a visit to the Bell homestead. The three oldest Bell sons had served under Jackson during the Battle of New Orleans, and he had heard the story of the Bell Witch. Jackson had a horse-drawn wagon and several men with him. 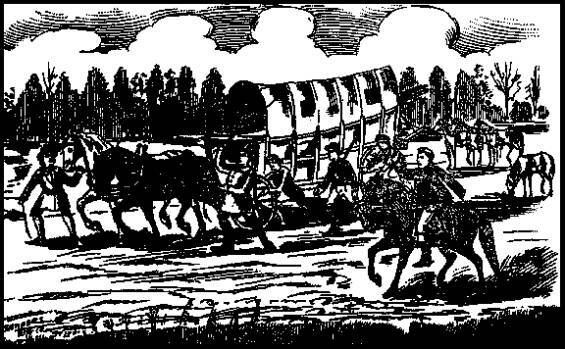 As they approached the farm, the wagon stopped and the horses could not pull it from its position. After trying to get the wagon going for some time, Jackson exclaimed, "By the eternal, boys, it is the witch." And then …a female voice was heard, saying "All right General, let the wagon move on, I will see you again to-night." And the horses were able to pull the wagon again. 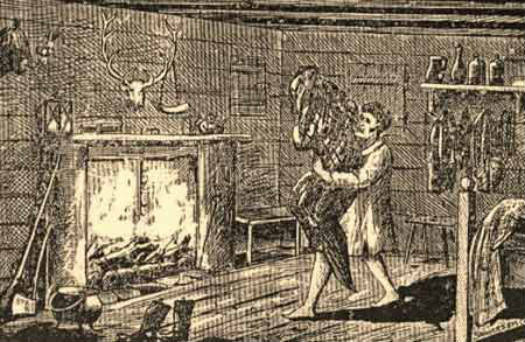 Jackson had planned to stay a week, but the group, having experienced more of the witch's attacks overnight, left the Bell farm next day. Accounts exist of this event, but it does not appear in any of Jackson's personal writing. As time went on, John Bell referred to the witch as "Kate." The rapping, voices, and attacks continued for years. John Bell died in 1820 at the age of 70, and the family found a mysterious vial in the room where Bell's body lay. They fed the liquid inside to the cat, and it immediately died. Then the witch's voice took credit for Bell's death. The witch reportedly laughed and sang constantly during Bell's burial on the farm. A year later, the voice warned Bell's widow Lucy that she would return for more haunting in seven years. 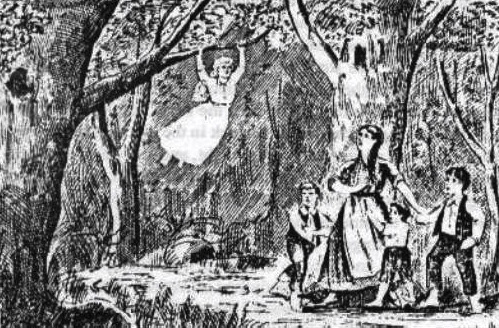 Seven years later, in 1828, the manifestation made her last reported appearance, in a discussion with John Bell, Jr. in which the voice predicted the Civil War. 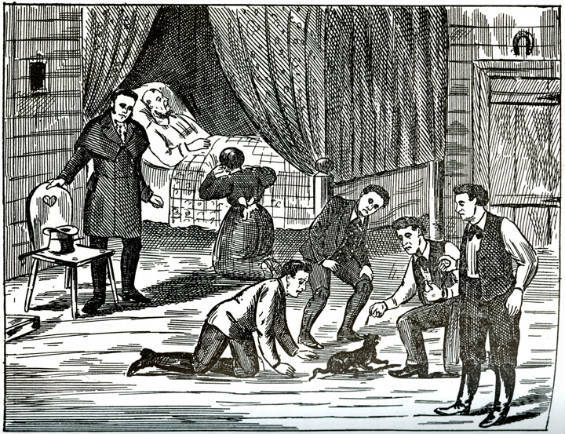 The tales of the Bell Witch haunting were passed down from source to source before being written in an 1894 book, so details vary. It is very likely that the family stories were exaggerated with each retelling. There is some speculation that the manifestations may have been a ruse to break up the relationship between Betsy Bell and her fiancé Joshua Gardner. The witch was strongly opposed to the marriage, and Betsy ended the relationship in 1821 out of fright. In 1824, she married her schoolteacher Richard Powell. Powell had known the family a long time, and some think he may have caused the initial manifestations. Powell began teaching in the area in 1815, and soon developed a liking for Betsy. He became friends with Betsy's parents and was a frequent visitor to the Bell home. It wasn't long after that the mysterious noises began. Powell's first wife died in 1821, the same year Betsy ended her engagement to Gardner. Photograph by Flickr user Wayne Hsieh. Today, you can visit the Bell farm and the nearby cave. 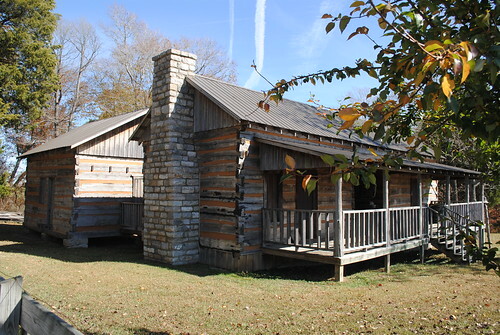 An early version of the family's cabin has been recreated on its original spot, and its furnishings are recreations, although there are some actual artifacts on site. Photograph by Flickr user Cameron Daigle. The most complete early account of the Bell Witch events are in an 1894 book called An Authenticated History of the Famous Bell Witch. It is available online.